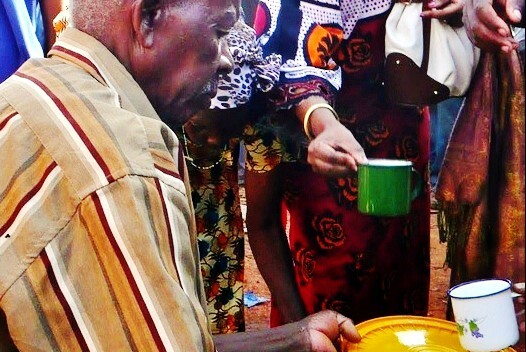 On top of the limited access to basic healthcare, electricity, running water and high infant mortality rates, rural areas in Tanzania also suffer from very poor education – leaving some vulnerable to suggestion that a cup of specially blessed water will cure everything from diabetes and blindness to tuberculosis and AIDS. 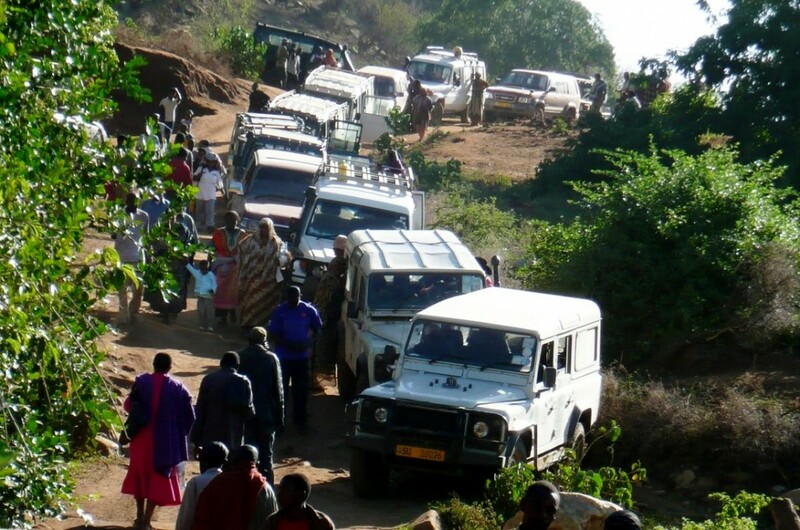 Which leads me to Pastor Ambilikile Mwasapila of Loliondo – and he has a lot to answer for. Apparently, those who drink from the cup held by his divinely gifted hands will be cured from any mortal ailments. This has caused a colossal surge in traffic from surrounding areas and countries (Kenya, Burundi and Rwanda). Political dignitaries in their government helicopters (tax payers’ money well-spent) have also descended onto the tiny village seeking heavenly help. Anyone claiming to have been touched by the hand of God and securing his place in heaven might reconsider charging the uneducated masses the ridiculously large sum of 500 Shillings per cup; nevertheless, his popularity is growing daily at a rate that that would put any regional inflation figures to shame. Local newspapers have parodied the event by publishing a cartoon, depicting that amongst the wildlife and Mt. Kilimanjaro he now accounts for one third of visitors to Tanzania – well, that’s life in Africa. 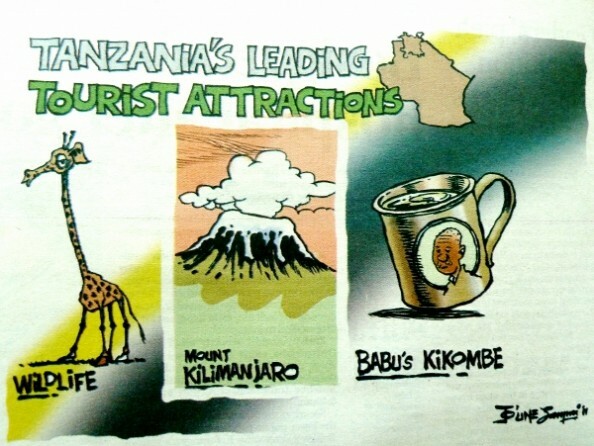 Oh and by the way, if you’re trying to figure out what Kikombe in the cartoon means – it’s Swahili for “cup”. Well what do you know, in addition to the original post it looks like the WHO has been pulled into all this.